The HexArmor Rig Lizard 2021 Hi Vis Impact Protect Mechanics Gloves are breakthrough oil and mining gloves with a faultless design and high quality materials. 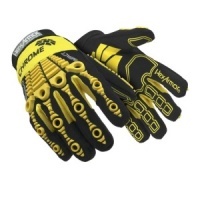 The gloves are designed as high visibility mechanics style gloves with reinforced palm and impact protection. 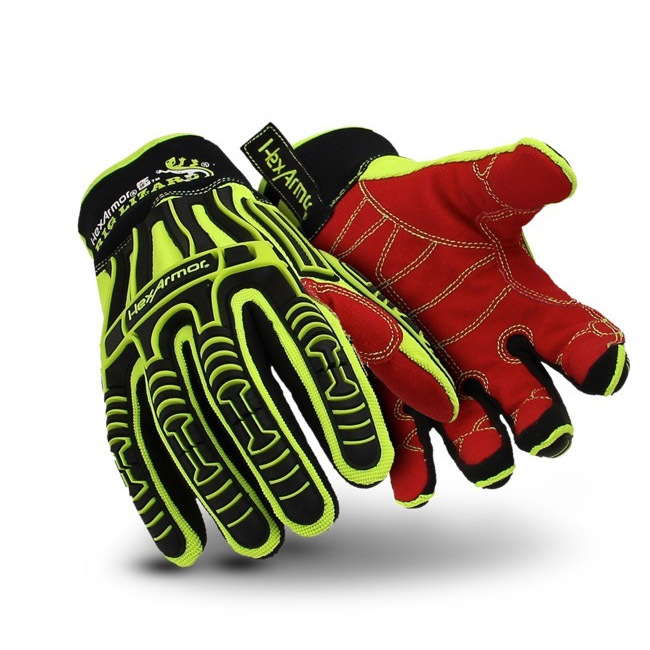 The HexArmor Rig Lizard 2021 Hi Vis Impact Protect Mechanics Gloves are designed to protect against abrasions, scratches and dirt in a variety of environments including mining and oil applications. 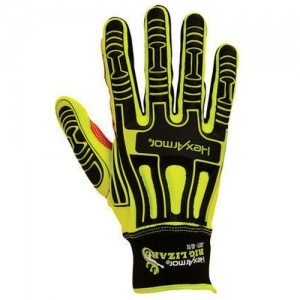 The HexArmor Rig Lizard 2021 Hi Vis Impact Protect Mechanics Gloves are made with the highest quality materials and with the TP-X palm reinforcement which strengthens areas of the palm, it means they are highly durable. 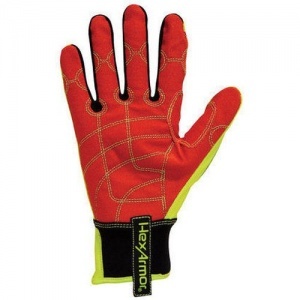 The HexArmor Rig Lizard 2021 Hi Vis Impact Protect Mechanics Gloves are often used in oil applications such as extrication, machine repair and hydraulic fluid due to the high level of grip and other design features. 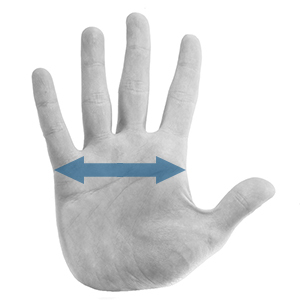 The product code for these gloves is HEX2021. 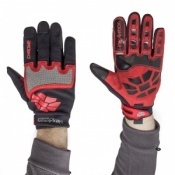 Please note - this list is not exhaustive, the HexArmor Rig Lizard 2021 Gloves are well suited to a number of other tasks and industries. 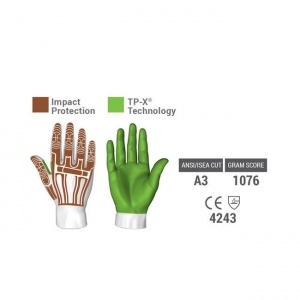 The Gloves one piece, direct inject high performance IR-X smash guards work as back of hand and knuckle protection against impact, engineered to prevent pinch and catch points. 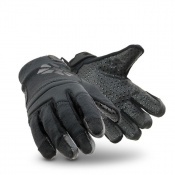 Double stitch cuff and seams mean the gloves are very durable and hard wearing. High visibility colouring for easier signalling and compliance. 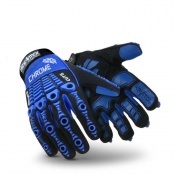 The gloves have a slip on/off airprene cuff for breathability and comfort with synthetic leather pull tab.